It was recently reported that the New Wes Anderson Movie is going to begin shooting in Angouleme, France early next year. Now, new details have surfaced, revealing that Anderson's next project is going to be a musical set in post-WWII France. It's actually pretty crazy to think that the director hasn't already tackled a musical in his 22 years of filmmaking. Music is always a big piece to all of Anderson's work, but it will be in the forefront of the new untitled project. The untitled project is expected to begin shooting in February of 2019 and last for about four months, according to reports. Wes Anderson has lived in Paris, France for several years and has talked about his appreciation of French films often. The director likes to shoot on location, so it's safe to assume that the French musical will take place in Angouleme, right after WWII. Anderson is not a director who is afraid to try new things, and this new movie will definitely take him out of his comfort zone. As previously noted, music is always a large component of a Wes Anderson film. In 2004's The Life Aquatic, David Bowie's music, specifically his song "Life on Mars?," plays a big role in the movie. Seu Jorge's Pelé dos Santos character performs a cover of the song in Portuguese. Elliott Smith's "Needle in the Hay" is used in 2001's The Royal Tenenbaums to great effect. The song is one of Smith's darkest, which parallels one of Anderson's darkest scenes with Luke Wilson's Ritchie slowly slitting his wrists. While music is often showcased in Wes Anderson's projects, this will be the first time that the music is the driving force. As for who will star in this new French musical by the director, that's anybody's guess at this point in time. However, Bill Murray will more than likely be involved in some capacity, which means we might get some pretty epic crooning from Mr. Murray in the near future. The actor has appeared in every single one of Anderson's projects except for 1996's Bottle Rocket, and has stated that he always says yes to the director without even hearing what the story is going to be about. 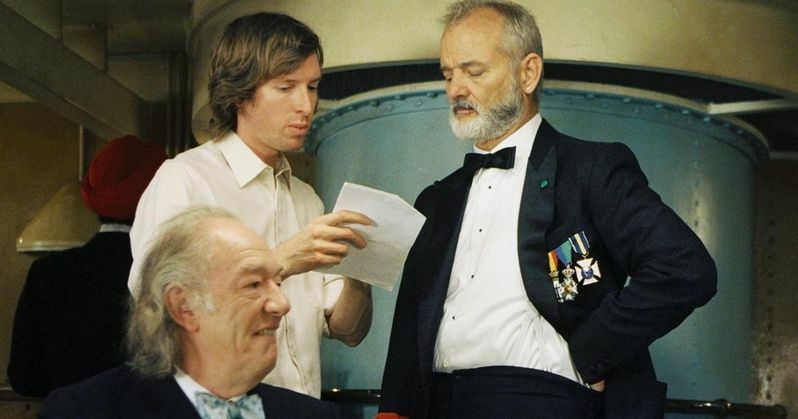 As for what Wes Anderson's tenth film project will be about, that's a mystery at this time. Details are being kept under wraps for the time being, but one can imagine that Anderson fans are already saying yes to the French musical, much like Bill Murray, without even hearing what it's going to be about. As for a release date, the musical is expected to hit theaters in 2020, roughly two years after Isle of Dogs. Anderson is going to be starting off his 23rd year of filmmaking with a brand-new genre, but expect much of the same distinct visuals that the director uses in all of his work. You can read more about Wes Anderson's French musical at Charente Libre.